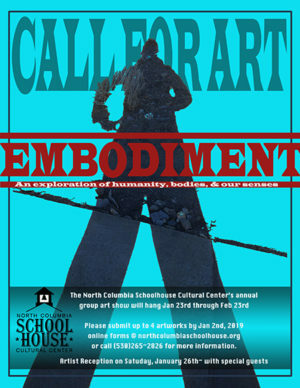 North Columbia Schoolhouse Cultural Center » Call For Art! Join the winter group show. Call For Art! Join the winter group show. This years winter group show has the theme “EMBODIMENT”. It can be about the physical body, the spiritual body, the abstract body, or many other interpretations. All 2D work is welcome, submit up to 4 pieces of art, using the form below or download a form here. 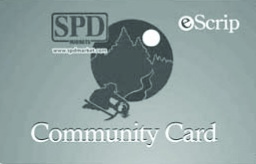 Each submission will have a 5$ processing fee. Your work can be for sale, with 80% of the proceeds benefiting the artist (20% to the Schoolhouse). The show will hang from January 23rd until February 23rd, with an art reception coinciding with a live music benefit show on Saturday, January 26th. The show will also hang during our wildly successful Valentine Erotique show on the weekend of February 15-16. Thank you for making art and participating in the Schoolhouse gallery!